RJ Gold 22 KT Gold is the basic material Thermoplastic paint with acrylic , which gives the final result is quick drying , excellent adhesion , gloss and brilliant color . 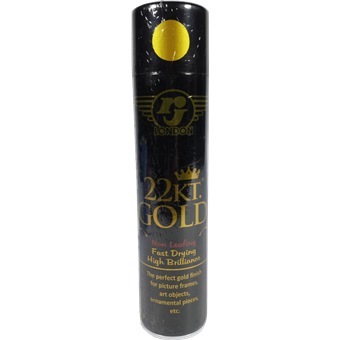 RJ SPRAY PAINT 22KT GOLD - 8OZ is rated 5.0 out of 5 by 1. Rated 5 out of 5 by Hklee from Great product I love the color and will get more in the future for my kits.